Challenge Cup champions Cardiff Blues have released Wales internationals Robin Sowden-Taylor and Scott Morgan. 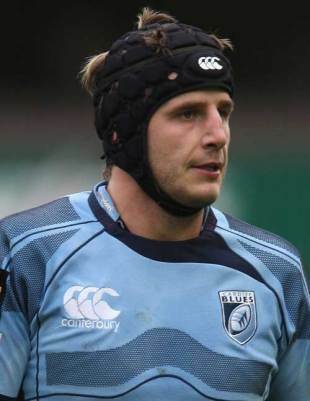 Flanker Sowden-Taylor, who has nine caps to his name, has struggled for first-team rugby after Sam Warburton emerged as the natural successor to Martyn Williams, with the signings of Michael Paterson and Tom Brown adding further competition. Morgan, who can play in the back-row or second row, has also found opportunities limited at Cardiff City Stadium. Morgan, whose solitary cap came on the tour to Australia in 2007, has secured a switch to the Newport Gwent Dragons, but Sowden-Taylor's own move to the Rodney Parade side is understood to have broken down. Blues director of rugby, David Young said, "Everyone at the Blues would like to thank the players for their contribution, both on and off the field, over the past few years. They have all played their part in moving the region forward and we wish them the best of luck with their rugby careers."